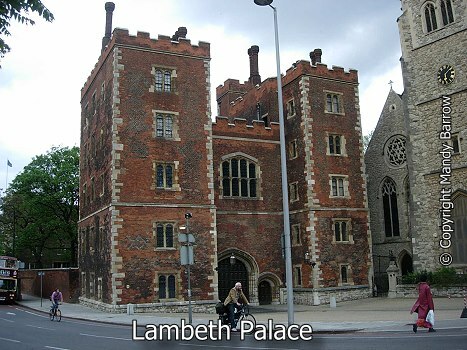 Lambeth Palace has been the London residence of the Archbishop of Canterbury for nearly eight hundred years. The red brick gatehouse dates from 1495. To its right is the church of St Mary-at Lambeth which houses the Museum of Garden History.